Our universal remote kit allows you to switch any 12v product on and off with a press of a button. Our heavy duty remote can handle up to 15 amps. 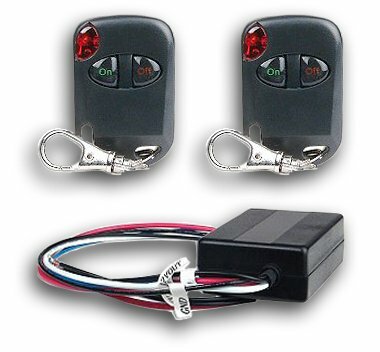 The kits include two (2) matching wireless remote control key fobs with LED indicator and batteries, one (1) ultra compact receiver unit with anti-code grabbing technology and full installation instructions. 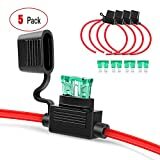 Works on any 12v electrical system, cars, trucks, motorcycles, boats, car alarms, car doors and trunks, car lights, neon and LED lighting kits, garage doors, security doors, home alarms, home lighting, cabinet lighting, home theater lighting, and anything else that runs on 12 volt power. This remote also works great with our LED Lighting Kits!